I will be posting reviews of all the courses at Bandon Dunes Golf Resort over the next weeks. I decided to start with Bandon Preserve. 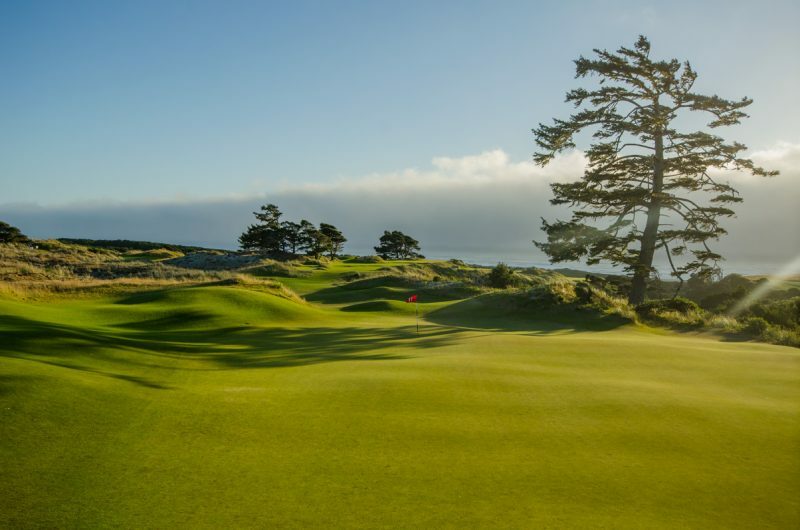 Bandon Preserve is a 13-hole par-3 course. The Preserve is so fun I could play it all the time. There are so many creative ways to play the holes, most of which are less than 130 yards. The Preserve was designed by famed golf course architects Bill Coore and Ben Crenshaw. This terrain is perfect for the Coore/Crenshaw style, which beautifully uses the existing terrain to produce a scenic, fun, and challenging layout. All net profits from green fees at Bandon Preserve go directly to Wild Rivers Coast Alliance (WRCA). WRCA is an organization that supports conservation, community, and economy on the southern Oregon Coast. The Preserve also helps to protect the plant species Silvery Phacelia. Silvery Phacelia is an endangered species which is threatened by non-native plants. The open area reclaimed by the Preserve help Silvery Phacelia flourish. When I played the Preserve the longest tee-to-pin yardage was less than 150 yards. Most of the tee shots were under 130 yards. One could easily carry 3-4 clubs, a couple of balls, and leave the golf bag in the room, barring any windy conditions. My round was very windy, and required me to hit a lot of extra club on a few of the holes that play to the north. I hit 7-iron a few times, which at Bandon is probably about a 175 yard club. Mind you, the length of the holes I was playing was more like 125 yards, but with several clubs’ worth of wind. The course is extremely fun and challenging. Golfers can be creative with their shots, choosing multiple lines of attack to landing areas that funnel the shot to the desired location. Flying shots to the pin is possible if the golfer can generate a lot of spin. Like most links style greens, Preserve’s greens are hard and only shots with a lot of spin will stick. The vibe at the Preserve is quick, fun, casual golf. Emphasis on fun. The final 13th hole is about 100 yards and the tradition is to play the hole entirely with a putter. Our group did it, and 3 of the 4 hit the green in regulation! I shot my lowest score of the year on the Preserve! It helped that the course was only 13 holes of par-3’s. Par-3 courses are becoming more and more popular. They take less time to play, cost the golfer less money, and take up less valuable land. The Preserve’s dunes/links style makes it so distinct and original. The course is visually stunning. The Preserve is right up there at the top of my par-3 courses list, along with Michigan’s Three Tops. 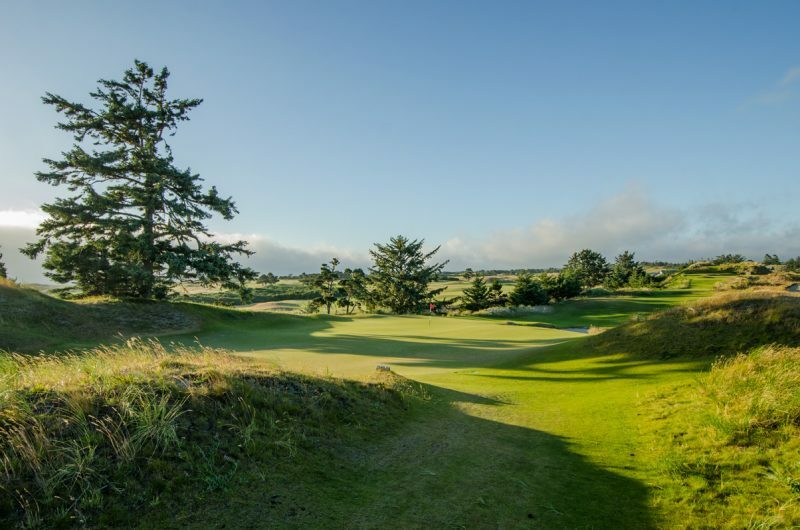 Do not miss playing Bandon Preserve when you are on your Bandon Dunes golf trip. 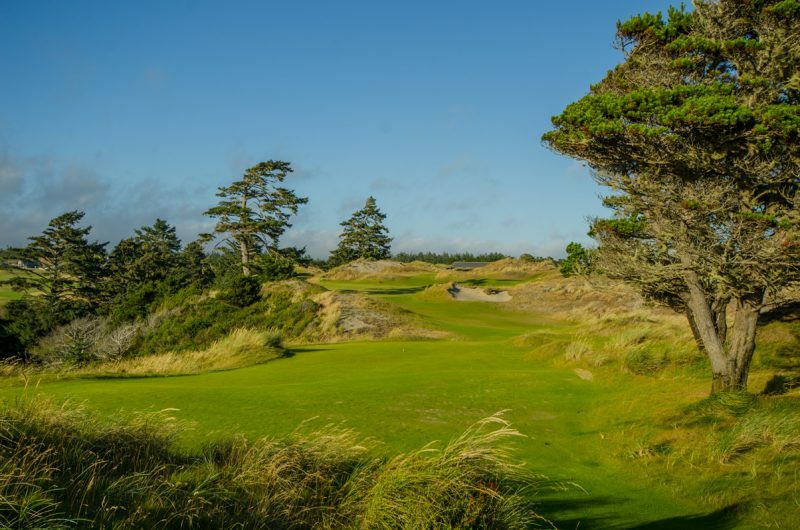 Visit the Hooked on Golf Blog Bandon Preserve photo gallery.